Actor Kang Tae-oh is starring in "That Man Oh Soo". He is handsome with a jovial smile on his face. Kang Tae-oh plays the role of Kim Jin-woo, a handsome and polite high school P.E teacher. Seo Yoo-ri (Kim So-eun) is his first love, but he has a past that scarred him deeply. However, having her support next to him helped him to grow into a self-confident and appealing young man. He fights for Yoo-ri with Oh Soo (Lee Jong-hyun). "That Man Oh Soo" begins on the 5th of March at 21:00 KST. 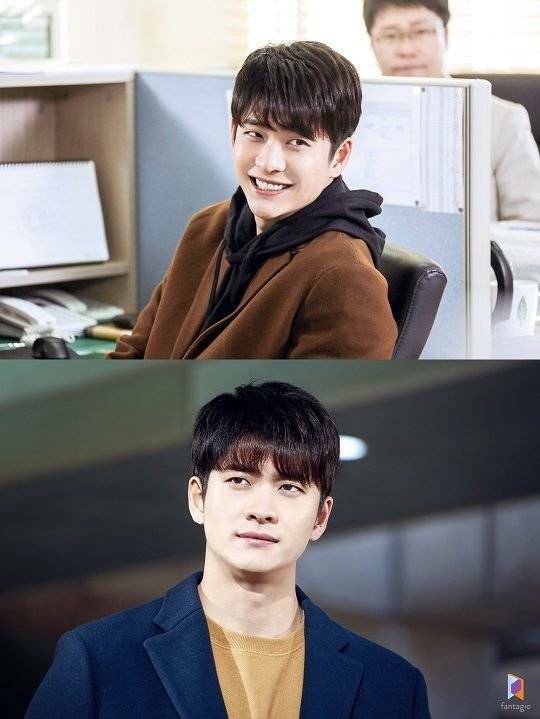 ""That Man Oh Soo" Kang Tae-oh's Charming Grin"